Etymology: "Atlas mountains lizard, the giant"
Length: 15.8m (52 ft.), perhaps more depending on maturity. After several starts and stops, finally an accurate skeletal of Atlasaurus, the bizarre short-necked brachiosaur! This skeletal is piled beyond shoulder-high with data from the description paper as well as from photographs of the museum mount in Rabat, Morocco, which correct a lot of the errors found in GSP's and Michel Fontaine's awful interpretations. Named for the Atlas mountains in its native Morocco, this odd early member of brachiosauridae is probably the strangest sauropod known from good remains besides Isisaurus - it broke all the rules of a group that was already smashing everyone else's conventions for body size and outrageous neck length. It was one of at least two early brachiosaur genera (the other being an unnamed Portuguese animal paleo-king.deviantart.com/art/… ) which pioneered the "giraffe-platform" model of arms longer than hindlegs that later became the signature feature of the entire family. 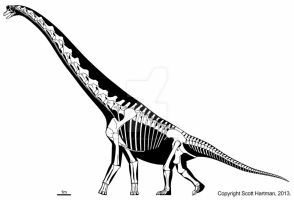 Earlier macronarians, as well as more primitive sauropod groups such as Mamenchisauridae, already had their shoulders elevated somewhat above the hips, but much of this was due to their long shoulder blades (though few museums mount them at the correct incline). 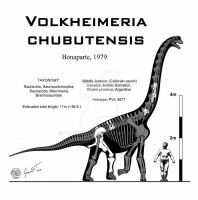 It was these "Atlasaurine" brachiosaurs which first featured arms where the humerus actually did tower over the femur, and the steep slope of the back was not due to big shoulders alone. However, these early experiments with very long arms were a singular specialization. The very long necks typical of later brachiosaurs still had yet to appear. Atlasaurus was a very short-necked animal as far as brachiosaurs went, and even compared with more "average" sauropod families, the neck still looks painfully undersized. It's one animal that seems to be permanently designed for high-browsing, no matter what you like to imagine the neck doing. The arms are not just long but unusually slender, indicating that the muscles on the arms were relatively light, and that stride length, not torque, was basically the core of this animal's speed. For a sauropod it could have been surprisingly fast, its long arms giving it a clear balance and distance advantage over short-armed diplodocoids. The foot claws, larger than in later brachiosaurs, provided traction as well as flank defense. The tibia and fibula are short as in other brachiosaurs; by comparison the femurs look very oversized. The hands are still rather primitive for a brachiosaur, with the thumb metacarpal being shorter than the others (and, oddly, fused to the index finger's metacarpal), probably supporting a large swiveling thumb claw, a primitive feature which was reduced and fixed in later brachiosaurs. The posterior cervicals and anterior dorsals appear to have forked or at least partially forked spines as in Klamelisaurus, indicating that bifid brachiosaurs did exist but that the trait was later lost -which may coincide the the adoption of a more fully vertical and s-curved neck posture. 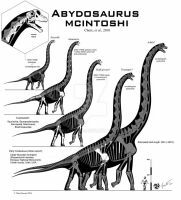 It's not clear why Atlasaurus didn't have a longer neck - even relative to more primitive sauropods it seems to have taken a step backwards in that regard. But the rock layers were it was discovered give a clue: the describers notes that the geology of the sandstone indicated "a vast plain close to sea level traversed by powerful rivers", which indicates the possible presence of large boulders getting pushed around by floods. It's possible that Atlasaurus lived on rocky floodplains where big herbivores needed a lot of vertical clearance to get over the huge stones and move quickly over collapse-prone ravines, but where most remaining trees were not very tall and long arms were sufficient for browsing height without needing a very long neck. Apparently the unfortunate type specimen (a teenager, like most of the best brachiosaur specimens) failed to make it over one particular ravine, and was partially scavenged by a theropod (which left behind some teeth) before being buried. It is a remarkably complete skeleton, including pieces of the skull, which appears to have roughly resembled Europasaurus, another basal brachiosaur. The medially curved humeri, as well as the angular front-heavy hips, are distinctly brachiosaurid, and resemble almost nothing else so much as B. altithorax, indicating that its lineage stretched back well into the Middle Jurassic, and that the basic axial and appendicular morphology of brachiosaurs as a unique group existed long before they reached their final iconic proportions. And of course since this is Atlasaurus we're talking about, the scale figure this time is not Eugen Sandow, but Charles Atlas. M. Monbaron, D. A. Russell, and P. Taquet. 1999. Atlasaurus imelakei n.g., n.sp., a brachiosaurid-like sauropod from the Middle Jurassic of Morocco. Comptes Rendus de l'Académie des Sciences à Paris, Sciences de la Terre et des Planètes 329:519-526. Apparently there´s a 236 cm femur from the same general area and time as this animal. I don´t know what that femur exactly belonged to, but a close relative of Atlasaurus (or Atlasaurus itself) or Jobaria seems possible. If that femur was indeed from an Atlasaurus, that would increase the upper size limit to ~19 meters and 30+ tonnes. What do you think of this? Xing, L.; Miyashita, T.; Currie, P.J. ; You, H.; Zhang, J.; Dong, Z. (2015). "A New Basal Eusauropod from the Middle Jurassic of Yunnan, China, and Faunal Compositions and Transitions of Asian Sauropodomorph Dinosaurs". Acta Palaeontologica Polonica. 60 (1): 145–154. Yes I do hear this contention a lot. However it is not immediately apparent just where they get the Atlasaurus data from. The description paper certainly doesn't give "344 characters" for Atlasaurus. I do not know whether someone flew to Morocco to analyze the bones for this or a previous cladistics paper. Where they got their Atlasaurus data from is hard to pin down. Also the paper's analysis has some other flaws like almost NO cladistic nesting in titansoaurs apart from Nemegtosaurus and Rapetosaurus, it seems to say that Malawisaurus and Alamosaurus are sister taxa or at least equally basal, which is flat-out WRONG. It also places mamenchisaurids as more basal than turiasaurids, Barapasaurus and Patagosaurus (odd), and also places them just above vulcanodontids on the the family tree (SUPER odd). Shunosaurus is almost a vulcanodontid but Spinophorosaurus is so much more derived? Something looks fishy here. I can only say that I call them like I see them. And the photos I've seen of Atlasaurus indicate it's a basal brachiosaur or stem-brachiosaur. 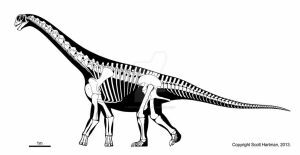 There is no way to convincingly argue that the humerus and femur shapes let alone the ilia are in any way "turiasaurid", unless a sub-clade of turiasaurs are showing some kind of crazy brachiosaur-like limb proportions and even morph-convergence in individual bones. Turiasaurus itself certainly doesn't exhibit any such brachiosaur-like convergence. Its bones clearly look very basal, "cetiosaur"-like for lack of a better word. The extreme asymmetry in the humeral head of brachiosaur, just isn't there in Turiasaurus. Other turiasaurs, I have not seen much of, but if the family is valid they would have to be similar, and not much like brachiosaurs. So while it's always possible I may be wrong about Atlasaurus, I doubt it... and for me to be wrong, i.e. for Atlasaurus to be a turiasaurid, it would take a big revision of turiasaurs as a family... Turiasauridae itself would have to be broken up and declared polyphyletic, artificial, void in Puerto Rico and Guam, and all that fun stuff. Turiasaurus itself is clearly a very different animal from Atlasaurus, their bones don't even look like things that would belong in the same family. Brachiosauridae is technically related to the titanosaurs, and is obviously much closer to them than things like diplodocids (which were sometimes mistakenly assumed to be closer to titanosaurs due to misinterpreting convergence in the specialized skull of Antarctosaurus - but that was over 80 year ago!) It's been known that titanosaurs are closer to brachiosaurs than to diplodocids for a long time, at least since the 70s with Powell and Bonaparte, but this was only fully confirmed by complete skull and tooth material in the last couple of decades with the preparation of Malawisaurus and Rapetosaurus. But even so, Brachiosauridae isn't a true titanosaur family, and is a lot more basal than saltasauridae. Brachiosaurs are at the basal end of titanosauriformes. True titanosaurs are at the derived end. Saltasauridae is in turn the most derived group of these titanosaurs (or second most derived, after Nemegtosauridae, depending on who you ask), all the way at the "upper end". There are several transitional families (i.e. chubutisaurs, euhelopodids, etc.) 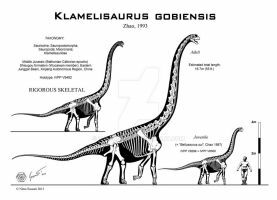 between brachiosauridae and the most primitive true titanosaurs, and then from there you still have a lot of basal and intermediate titanosaur families before you get all the way up the evolutionary tree to saltasaurids. Brachiosauidae is at the bottom end. You can see there are a lot of transitional families before you get to Saltasaurus. My point is that the paper you mentioned basically nests all titanosaurs together as a hub-and-spokes arrangement, and thus probably doesn't include enough derived characters to properly sort them out into a real accurate family tree with basal and derived groups. Malawisaurus and Nemegtosaurus are so different it's not even funny, there is a lot of evolutionary distance between them, with Malawisaurus being much more basal. Of course brachiosaurs are even more basal and more distant. Keep in mind this tree is constantly being revised but so far is very consistent with the visual data. 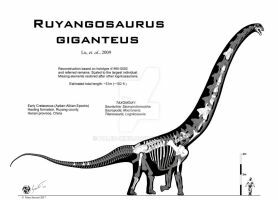 It is just about titanosauriformes, not all sauropods. It doesn't include every titanosauriform species but does have the taxonomically important described ones. I fully agree! Thank you very much for the explanation and for your reference to the family tree of titanosaurs, which I find extremely helpful in understanding the evolution of these beautiful animals. In this field, you really are the number one . However I intend to apologize for the misunderstanding: I meant atlasaurus and not saltasaurus. Probably the spell-check has turned the word into the most common term, and I have not checked. So I intended that atlasaurus (ie the dinosaur in question) is close to brachiosauridae (not Saltasaurus). Sorry again. Then you are right. Atlasaurus does appear to be closer to brachiosauridae than any other family. The femur, humerus, hips, all scream "proto-brachisoaur". The dorsals are very close to those of Europasaurus, which had a similar skull too. It's still hard to tell whether Atlasaurus or the Klamelisaurids are more basal in the evolutionary lead-up to "classic" brachiosaurids, but I suspect the latter is the case due to their more modest arms and fewer Europasaurus-like features. 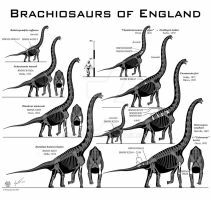 Which means that very long necks evolved more than once in the greater "brachosauroidea" and that long arms likely evolved in true brachiosaurids before crazy-long necks. Or that Atlasaurus was just a weird outlier that shortened the neck more than its mainline relatives, while still being among the most basal brachiosaurs to have the very long arms (its hand is still rather basal with the thumb claw off the ground like klamelisaurids and other basal neosauropods). I have heard some people say Atlasaurus could also be a turiasaur, what is your stance on that? I have heard this rumor, and it smells... not saying it's impossible, but it sure smells. Everything I have seen of the appendicular and pelvic elements of Atlasaurus looks distinctly brachiosaurid... a lot like B. altithorax, just more primitive. Turiasaur humeri don't look much like those of Atlasaurus. 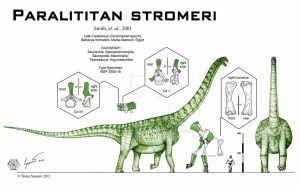 Also the ilia and femurs of Atlasaurus look more brachiosaur than anything else. 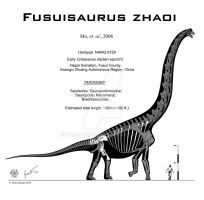 However some "Turiasaurs" like Zby may have converged on Atlasaurus in proportions. As far as speed goes: speed estimates for derived, huge brachiosaurids were like 20 km/h at max, so I am putting this one at 25 to 30 km/h if generous, maybe. I'm fascinated by this animal. Yes it's a very interesting species. Abrosaurus and Tadouzasaurus may have looked very similar. I love this illustration! Would I be able to use it for some text panels at the Zuhl Museum: Home of the Zuhl Collection in Las Cruces, NM. I am the director. We are a small museum specializing in Petrified Wood, fossils and minerals. Recently our benefactor donated a 7ft Atlasaurus femur and I would like to have an accurate depiction of the animal's size and skeletal structure. We do not charge to visit our museum and run almost entirely on donations so we can not really afford to purchase art work for our text panels. Please let me know and if yes, how would you like us to format your credit footnote on the text panel. Thank-you! please do someone know the predator of atlasaurus . Afrovenator lived around the same time in Niger, which isn't that far away. I was reading the recent Qijianglong's description paper and was surprised that they recovered Atlasaurus as a turiasaur, then I checked D'Emic 2012b and it appears that it has never been recovered as a brachiosaurid in a phylogenetic analysis, what makes you think it really is a brachiosaurid? The hips are unmistakably brachiosaurid, as are the humeri and femora. 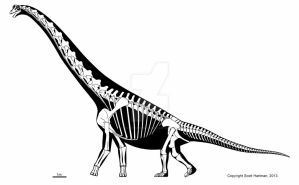 Honestly I see a lot of features of Brachiosaurus itself in this animal, particularly in the ilium shape. 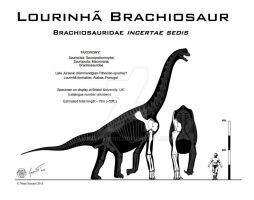 Furthermore there is another very similar brachiosaurid known from Portugal (as yet unnamed) whose hand structure is far more derived than Turiasaurus. 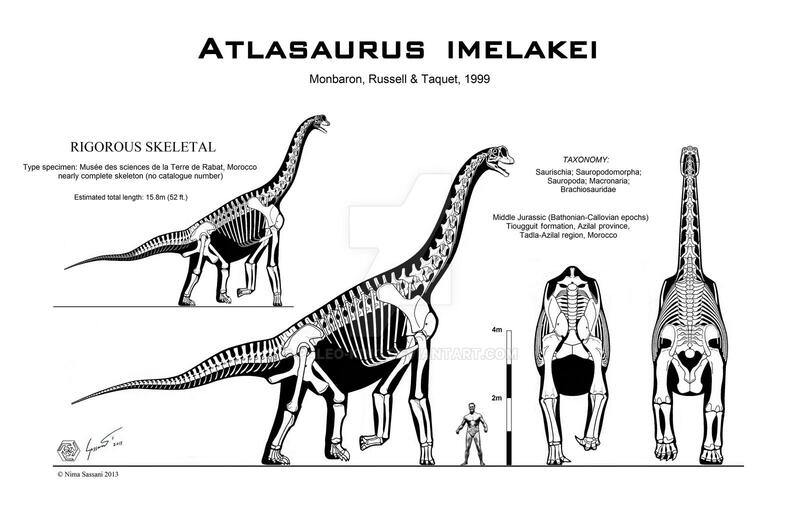 If your look at skeletals of Turiasaurus (like that by Asier Larramendi) it looks nothing like Atlasaurus. Turiasaurus doesn't have the crazy-long arms or high shoulders, its skull is rather different and its length is overwhelmingly tail (much like Patagosaurus). Of course if what we really have it a brachiosaur that fell on top of a turiasaur and got buried in mud, that would be interesting. But it still wouldn't explain the crazy-long forearms, the humeral head shape, the front-heavy hip structure, or the near-cylindrical arrangement of the metacarpals. Actually, regarding possible North African turiasaurs, I've been wondering if Jobaria might be a turiasaur for quite some time. The skull looks identical to that of Turiasaurus and some details of the scapula are similar as well. Plus its position at the base of Neosauropoda is very close to Turiasauria. Of course, Jobaria also has similar issues as Atlasaurus; Sereno only gave it a brief description and probably won't get back to it for a long time. At least Atlasaurus had a better description paper than ANYTHING Sereno seems to be capable of. He's mainly a NatGeo "glitz and hype" paleontologist. Likes to get down in the dirt and dig up lots of bones, like a dino-Indiana Jones. But as for taking the time to do advanced morphometrics or even draw accurate diagrams of the bones, let alone classifying species, forget about it. Sereno has more digs, photo shoots and of course TV spots to do. Jobaria looks like a "camarasaur" so he assumed that's what it was, but also misdated the rock (largely assuming that Afrovenator, found in the same layers, was some sort of advanced cretaceous allosauroid). But no Camarasaur lived in the cretaceous! But then it turned out it's even more primitive than camarasaurs and his dates were something like 60 million years off! Yeah, exactly. And now we have what could be the only really complete turiasaur that could be a very useful reference in reconstructing the fragmentary European specimens... but it's never going to be properly published as a result of the author always having other things to do. ...and of course Afrovenator turned out to be a megalosaur, which axes even the original idea on dating it. But if those features are so obvious how come no phylogenetic analysis has ever covered as a brachiosaurid? is it related to a lot of the material still being undescribed? Oops, I mean the photos in the RE-description are pretty good. The original description was very short and had no good data to go on. Which is probably why it was mislabeled as a catch-all "cetiosaur" for years. Re-description? 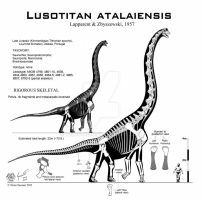 I have been having trouble finding information on Atlasaurus in the literature, does this mean that there is something other than the 1999 description to go on? The simple answer is that there hasn't exactly been a lot of phylogenetic analysis done on Atlasaurus. The few examples that have been done seem to just go over the written characters without any sort of visual verification, leaving out all of the derived features I mentioned which are NOT common to all Eusauropods let alone all Neosauropods. And as usual, what's written in the paper often ignores much of what is visible in the bones. The simple answer is there hasn't been much research carried out on this animal since its discovery - in fact given the amount of material that allegedly exists in museum collections for various Algerian and Moroccan sauropods, the research on these specimens is easily 50 years behind schedule. Blame the Moroccans, the Algerians, the French, the Eurozone, whatever, but the result is the same; nothing is being done. Frankly I'm disappointed in the brevity of many of our scientific papers these days. In the time of Marsh and Cope, they wrote hundred-page monographs on a single species alone, measuring every little detail. Now they just throw 30 or so characters against the wall (usually the most basal, least significant and least observable ones) and hope it sticks. When they recover something so unusual as a "basal sauropod" this often just means they only bothered to look for the most basal characters. Which is sadly a big problem in a lot of papers today. Furthermore no phylogenetic analysis has ever been carried out on the related Portugal species, and its hand shape (and casts of local manus prints believed to have been made by it) are clearly those of a brachiosaur-like animal. Atlasaurus is all described, it's just not WELL-described. The photos in the description are actually pretty good. Interpreting them however is apparently a very rare skill. Essentially I have the same problem with phylogenetic analysis and cladistics that Jose Bonaparte pointed out; there are too many false positives and too many people looking for the easy lunch. The analysis is only as good as the characters you put in, and often times determining what is a basal or derived trait, ever-present or independently re-evolved, is not that simple. 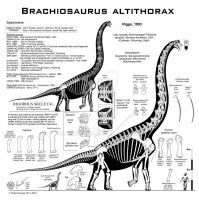 If someone actually did a GOOD analysis on Atlasaurus, and included all the features I have mentioned (and probably a great many more accessory ones) it would likely come out as a basal Brachiosaur. It's simple observation given my experience as an artist and 20 years of looking at fossils with more than just a 1-dimensional mathematical mindset. Yes I find things the experts miss. Good thing at SVP 2010 most of them were too drunk to remember how the few frustrated ones reacted. Yeah, I now understand your reasoning, thanks! In pay attention to your sign....it is a Persian word of "Ali" (علی).....it is very interesting!!! Oh and I forgot to ask, what are some of Michel Fontaine's erroneous interpretations? Fontaine's errors? There are scores of them... Flat feet, hands with the digits all in a row edge-on like an orangutan instead of properly interlocking together in u-shape cross section, neck too short like in GSP, arms too thin even by GSP's starving standards, barely any muscle on the lower legs, rib positioning vertical (outdated like 1950s Werner Janensch skeletals) and head restored too much like a Turiasaurus or some other cetiosaur-grade basal sauropod. Fontaine's skull reconstruction [link] doesn't even point out which parts are real and which are speculation... in fact it's really all speculation, it doesn't look like he used the published photos from the description paper for reference at all. The face is a sad droopy affair that looks nothing like any known brachiosaur head. 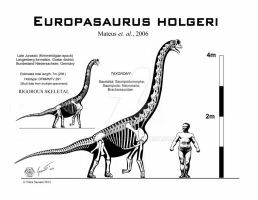 Atlasaurus' head should look like Europasaurus based on the known parts. Instead Fontaine appears to have spliced Alf with Gonzo from Jim Henson's muppets and thrown some Turiasaurus or Spinophorosaurus teeth in there. A little too basal and frankly too prosauropod-like for the Atlas giant. 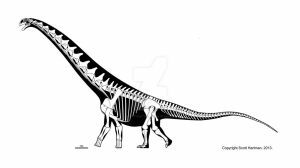 Also his front, rear, top, and muscular views of Atlasaurus are just hastily morphed ripoffs of Greg Paul's Giraffatitan skeletal. [link] Fontaine barely makes an attempt to mask this fact - and yet he dares to put his own name on it. He didn't even put in any sacral holes in the top view, which is a direct ripoff of Greg Paul's errors in restoring Giraffatitan's sacrals! If there's any original value in his work, it's in the side view of the hips and tail, nothing more. Who is this guy and why does his work appear in catalogs if it's so ridiculously bad? I barely know anything about dinosaurs (I used to be obsessed as a child, but as I got older my obsessions changed and I never returned to dinosaurs), but this angers me. One of my current obsessions is type, and frankly I think there is too much ignorance in the graphic field regarding type. I can imagine how frustrated I would be to see a type designer without any skill get a lot of attention for some reason. Someone with an eye for detail like you is much more deserving of this attention. Ahh that's politics I guess. Fontaine's work appears in catalogs? None that I know of, please enlighten me... To my knowledge he's not all that famous. One that they forgot to include is Josef Moravec. [link] His website "dinosaur corporation" touts him as a great paleoartist, but his work is crap! Poses and even proportions are totally impossible, outdated, not to mention the landscapes look all dead and wilted, just ripoffs of Knight and Burian paintings. Sorry, I was merely speculating. Since he seems to be getting undeserved attention I assumed his work was in academic circles. So why does he get so much attention? Well, a reference from you anyway. Very sad that these artists are copying each other so often. They do seem to have the talent, so I guess they're just too ignorant about dinosaur anatomy to be secure about getting the proportions right in original positions? As for Josef Moravec's work, I must admit I have nostalgic feelings towards these kind of illustrations (accurate or not, I grew up with these kind of pictures) but it certainly doesn't look accurate at all. Is it really supposed to be though? I find the term "paleoartist" rather misleading anyway. You don't need a degree to consider yourself a paleoartist, do you? By the way, all of this reminds me of Neil deGrasse Tyson, an astrophysicist and science communicator who wrote the director of Titanic to complain about the moon being on the wrong side of the sky in the movie, and parts of the sky being copied. Apparently the problem was digitally fixed during a re-release of the movie. Anyway, I'm just glad there are people in every field to protect the integrity of their field, and of science in general. Fontaine's work isn't in academic circles. He's only been published in a few popular french newspapers like Le Monde and Liberation. And I suppose they don't care much whose art you are ripping off. Outside of France, he's a virtual unknown. 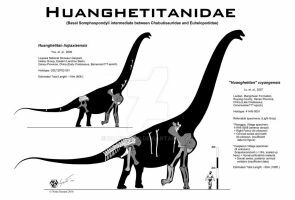 However I mentioned him because if you look up Atlasaurus online you do see his interpretations of it, and after GSP he's the second person to attempt a skeletal of it. Both GSP's version and Fontaine's are a joke though. 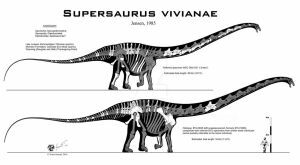 And if Fontaine wanted to do a multiview, he should have done his own original work, not just tweaked GSP's Giraffatitan. He probably won't publish in academic circles because this kind of forgery can be spotted by paleontologists a thousand miles away. Third time's the charm, I guess. And with Moravec, the thing you have to remember is that the nostalgia stems from the work of Knight and Burian. And while they have little accuracy, the painting of Knight and Burian were at least original work, and the proportions were still less ridiculous than Moravec's. Moravec's paintings are in many cases complete ripoffs of Knight and Burian, down to the colors and even the poses. The guy has no sense of originality, may just be lacking in talent or imagination, and shows no respect for the intellectual property of others. I wouldn't mind so much if he did his own "Burian-style" paintings (apparently he considers "Czech paleoart" to be a unique time-frozen genre separate from all other paleoart and not subject to the march of new scientific discoveries - consider that Burian himself said he didn't pay much attention to measurements and scientific facts). But he should not be labeling himself a "master" of scientific illustration at the same time, or claim that his work has any scientific value today, and he'd have a bit more credibility as purely an artist if he used his own poses and scenes instead of copying from Burian. He's purely a commercial hack, copying Burian in the 21st century (with inferior technique) and selling the nostalgia to baby-boomers. He's a smart hack though, I'll give him that... copyrighting the catchy name "dinosaur corporation" so that nobody else can use it, and putting a trilobite seal on his work to make it look like he's approved by some museum or official paleontological academic organization. Sad thing is, these ripoffs usually don't get exposed. I'm not in favor of suing the pants off everyone who uses a similar visual style or similar scientific theories like GSP is - but people who ripoff specific unique live scenes of other artists for profit without giving any credit to the masters should be sued, or at least exposed as frauds. That goes for people with far more skill than Moravec and Fontaine as well. Raul Martin and Fabio Pastori should definitely be exposed (as they already have been) but continue to expose them until they clean up their act. I wouldn't want to get involved in suing people, but I do think it's more than justified to expose these kind of fraudulent practices. Although blatantly copying copes doesn't speak of craftsmanship and originality in any case, I can appreciate it if people use each other's work as a point of reference, either to improve on the original, to bring something refreshing or better yet, to completely recycle the original (perhaps only borrowing a concept or a particular pose of a figure within a greater composition), but it seems more liberties can be taken as an artist than as a scientist. Not to confuse paleo-artists with scientists necessarily, but I think the paleo-artist does have the integrity of two very different fields to consider. Artistry on the one hand and anatomical/geographical/historical accuracy on the other. It's rather frustrating because some very good artists may not have much of the in-depth knowledge you possess, and I can imagine because of their sheer skill they could land on big projects which, if done incorrectly, inform the public in a wrong way. For example, one may make an animated movie about dinosaurs and although such a movie would be for entertainment and thus doesn't need to be accurate, it does inform the public nonetheless. They may be deluded into believing very strange things. I couldn't give a particular example regarding dinosaurs, but I know this to be a problem in many if not most fields. I guess most of all it frustrates me when it happens within a scientific field of study because many people are quite ignorant about what the scientific protocol is anyway, and without such validation mechanism one may be deluded into believing very strange things—which we as a human species tend to do anyway. So I will say it again; I'm proud there are knowledgeable people in every field with enough passion for it to maintain the integrity of their field without succumbing to greediness. As for the artists you mention though, I would think they're passionate about their work, which makes me wonder why they don't seem to care as much about accuracy or originality. Accuracy can be a bitchy proposition. How crushed are the bones? At what stage in growth is any particular specimen? Even supposing there are a lot of specimens, accuracy is hard to work with from just bones. Have someone get you a random picture of a skeleton of a modern animal, say a kangaroo or a binturong and see just how accurately you can restore the animal. (Beyond me!!!!) When we, as Nima does, are working with only the bones and too many times, way too few of them, accuracy is a pipe dream. Nima does a fine job and is a great inspiration to me and many other artists. Originality is also bitchy, since it means one has to have one's own thoughts and one also has to come up with something from scratch...and there might be almost nothing available to scratch! Very cool illustration and fascinating description. The longer forelegs are a strange feature in itself I think, but the neck which seems to be somewhat disproportionate to its tail and front legs makes the creature even stranger. I find it interesting how fast it looks with its slender proportions, even though it's a 20+ ton animal. By the way, are some bones in the illustration in the top left colored for a reason? They're all white in the bigger version. They're the missing portions that are shaded. 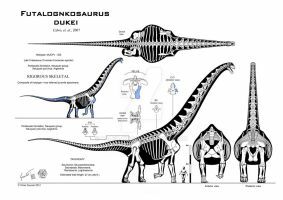 Those bones were not recovered so their shapes are based on related species and also comparison with the existing bones of Atlasaurus. The Rigorous Skeletal basically shows which bones are known and which are missing. Ahh I couldn't derive that from the illustration, but very useful to see which bones weren't recovered. I'm much more comfortable with this existing than the GSP version. Could the shorter neck be due to ontogenetic immaturity? Possibly. The specimen was definitely not done growing when it died. The right coracoid has ZERO connection to the scapula, hasn't even started fusing yet. The left coracoid, oddly enough, seems to have begun the fusion process and fits rather snugly with the left scapula. It's likely the neck got a bit longer as an adult. But all the same I don't think it got very long. In most brachiosaurs, most juveniles already have neck proportions relatively close to the subadults or adults. Giraffatitan is notorious for this - there are juvenile Giraffatitan neck vertebrae in Janensch's papers that are basically miniature copies of HMN SII (and consistently more elongated than SI despite being smaller... more on that another day). And as for the GSP version... I agree that thing just looks disturbing. Can't imagine it stooping down to have a drink with that neck or those limbs, somebody forgot to put any cnemial crests or condyles there. Doubtful anyone would actually want to use that hack-job of a skeletal for reference if they can avoid it. 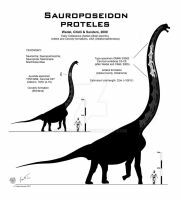 This is an amazing sauropod! Great skeletal reconstruction of this guy!! !